The 9W LED light bulbs are the preferred choice of all those who look forward to illuminating their surrounding at an affordable price. 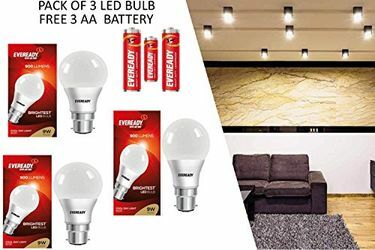 Not only these bulbs come at an affordable price, but their 9W wattage ensures that they consume lesser electricity than what the CFL bulbs consume and thus, the power bill also remains under the limit. 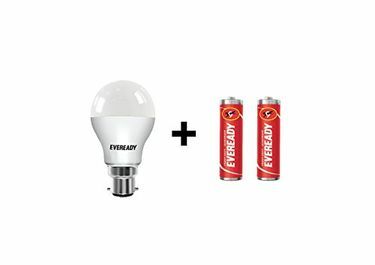 All these 596 9W LED bulbs mentioned below are offered by renowned brands such as Philips, Eveready, Crompton, Wipro, Syska, etc. They all are light in weight and pretty much easy to install owing the presence of B22 cap, which fits easily in the B22 socket. Most of these bulbs are made of Polycarbonate material and hence, the breaking chance of these bulbs on accidental falls reduces to a great extent. Above all, the beam angle of most of these bulbs is 150 degree which simply means that they could even illuminate a large area easily. 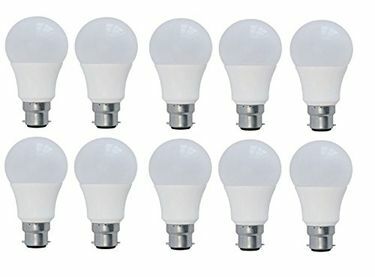 The prices of these 9W bulbs have been revised on 18th April 2019. 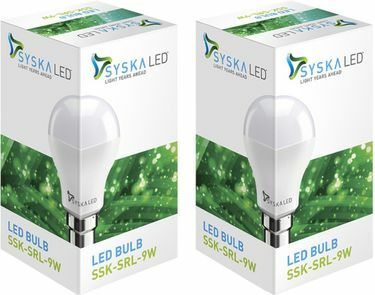 You could buy online one 9W bulb or even buy a particular package consisting of more than one bulb. However, before you buy a 9W bulb online, make sure to invest time in its price comparison. Undertake the same on one of the most reliable platforms MySmartPrice.com. It shows the latest price list of 9W LED lights in India from various e-vendors such as Amazon, Shopclues, Snapdeal, Infibeam, Flipkart, etc. Thus, you can compare the price at one place and get a 9W bulb online at the lowest price. 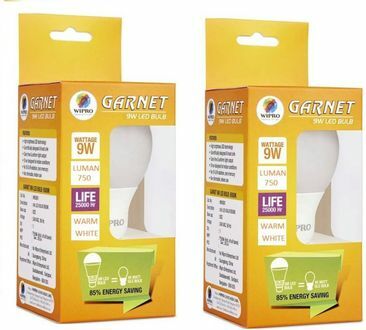 You can even avail cash-backs, discounts and other benefits by purchasing a 9W white LED bulb online via this platform.